When it comes to skin care, I rarely deviate from a dermatologist-prescribed regimen I’ve been following for the last 25 years. I don’t do gimmicks, and I am admittedly hesitant to try something new. But when I received Tatcha’s classic rice enzyme powder in Rachel Zoe’s Box of Style (another must for staying on top of the best in fashion and beauty! ), I was hooked. Not only great for removing stubborn makeup, this rice enzyme powder exfoliates and smooths and leaves your skin feeling incredibly soft and dewy. I absolutely love it for washing my face and also my hands. 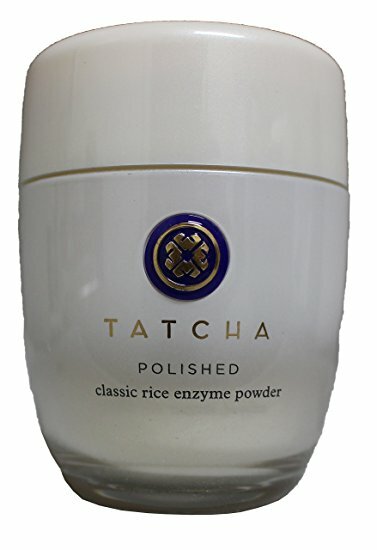 Tatcha Polished Rice Enzyme Powders retail for $65 and are available for four different skin types at tatcha.com. My other favorite face wash is a little friendlier on the budget, so if you’re not ready to splurge on rice powder, try Alaffia EveryDay Coconut Cleansing Face Wash. It’s also one of my basic go-tos and is available at Amazon for $12.99.